Last week, ESPN‘s Zach Lowe called the Toronto Raptors the “most logical all-in play” in a Kawhi Leonard trade. He speculated that the team could build a trade around all-star shooting guard DeMar DeRozan to acquire the superstar forward. With LeBron James in Los Angeles, the East is now wide open. The Boston Celtics are the presumptive favorites, and the Philadelphia 76ers in the discussion, but the Raptors have been one of the consistent contenders in the league. James has been the hurdle that Toronto cannot get over. With him out of the way, a move for Leonard, a top five player in the NBA when healthy, could put the team in position to reach the NBA Finals. If Leonard walks, the damage isn’t so severe. After this season, DeRozan will either opt in to $27.7 million or enter free agency seeking a mega-contract as he turns 30. But DeRozan is really good, Leonard is a huge flight risk, and my hunch is the Spurs would demand too much future stuff for Toronto’s taste (if the it has any interest in the first place). It was written as a hypothetical, though some have backed it up. Toronto has a pretty aggressive front office, and the team clearly wants to compete. 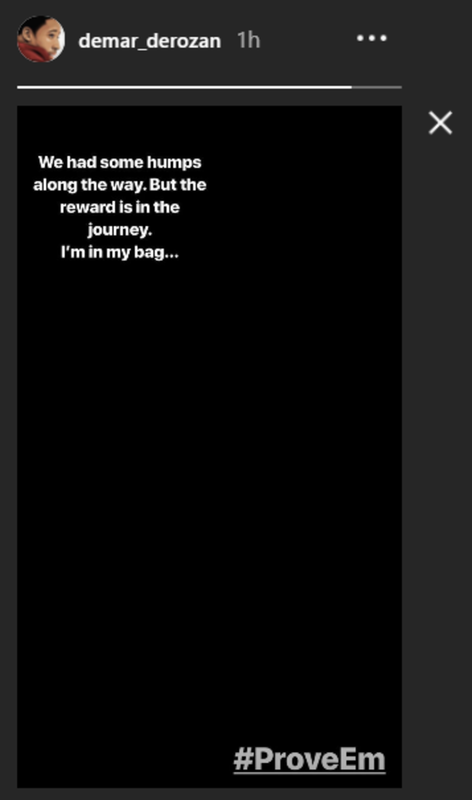 That makes the timing of DeRozan’s Instagram purge interesting. 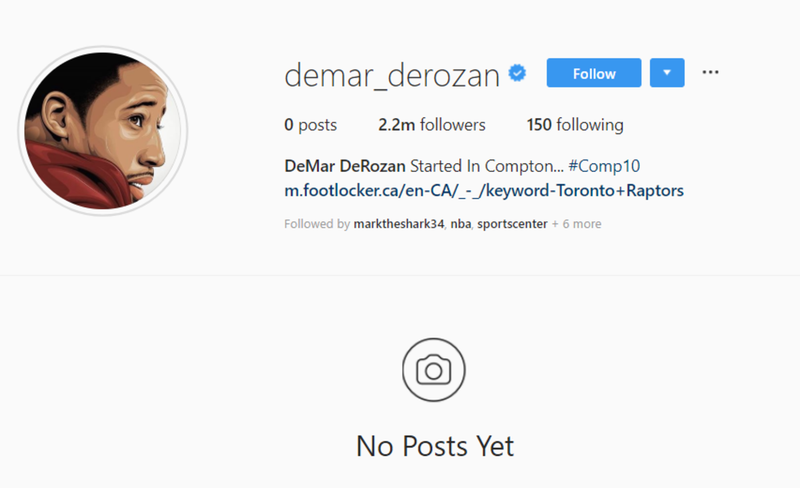 The Raptors star wiped all of the photos off of his profile at some point today. He put up a cryptic story post around an hour ago, now the only content on his IG page. Apparently this isn’t the first time he’s done this. It is most likely nothing. Still, its an interesting move given those rumors.